In preparing our Christmas dessert I twice had to stop and take pictures because the food was so beautiful. 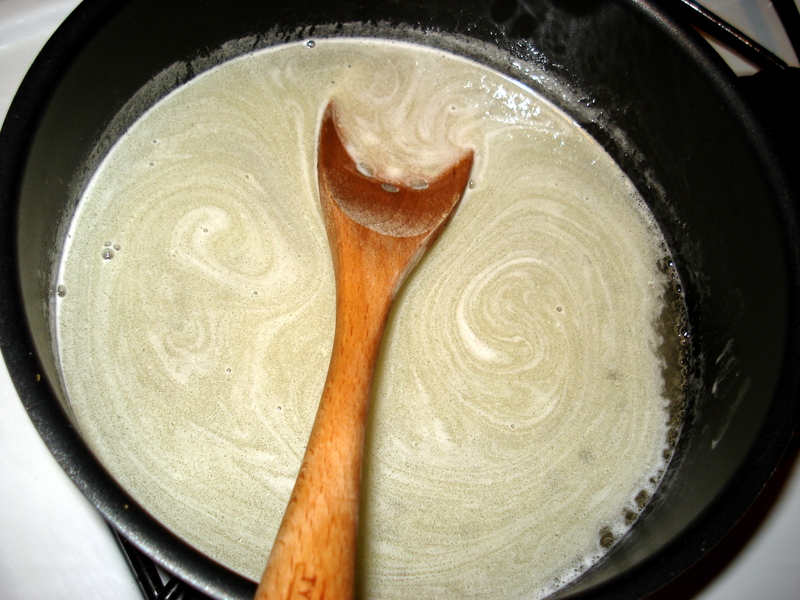 And when you cook up a syrup of sugar, butter and water, you get pretty swirls! 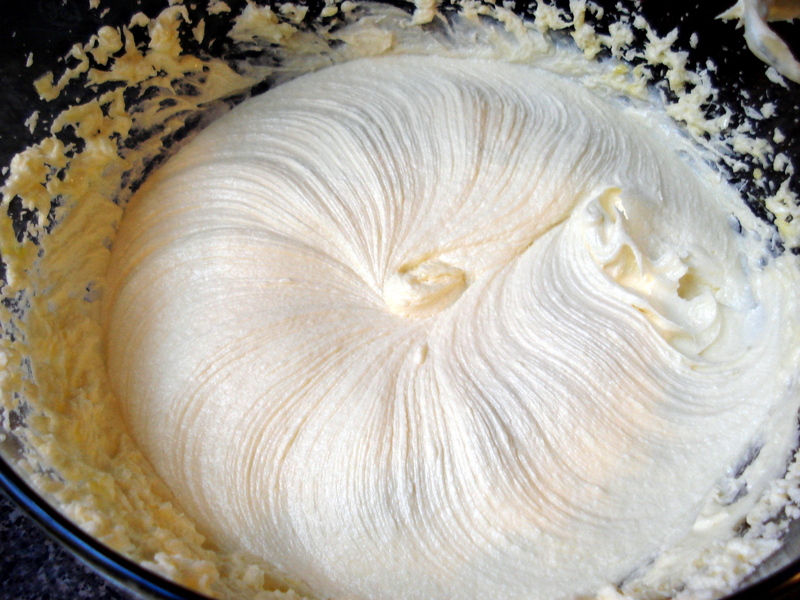 If I had a picture of bread dough, I’d share it with you… that’s another happy occurrence in my kitchen. Forgive me, but I love making, eating and sharing food! Mmm. I like that first picture — looks like cheesecake filling or what goes in the middle of Mom’s amazing Christmas morning Danish coffeecakes. Franci, I hope we get to do some baking together when we make it to NYC! Out of curiosity, what were you making? Hope that you are all nice and warm.